Turmeric, also known as Curcuma longa, is an ancient spice that has remained popular in India and Asia since 2,000 BC. 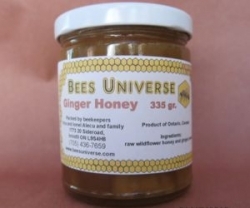 The spice belongs to the ginger family and is a prized component of the culinary traditions of these cultures. This mixture is the most potent natural antibiotic known. It is cultivated in India and has been widely used in Indian Ayurvedic medicine and Chinese medicine as a treatment for a variety of diseases. It has anti-bacterial, anti-inflammatory, anti-viral, anti-microbial, antiseptic properties that can cure a wide range of diseases. A cough is a common condition that arises due to cold weather. Cough can also develop due to some hidden complications like rhinitis, the bacterial infection of the respiratory tract, lungs, pneumonia, wheezing, asthma, etc.It has antibacterial and anti-viral functions that make it one of the best remedy to cure a cough and cold naturally. Here are some simple home remedies using turmeric and honey that can treat a cough. Turmeric is one such herb that can treat a cough initiated by any of these hidden conditions, and it is one of the most popular home remedies for a cough and other diseases. Take about half a cup of water in a vessel, add one teaspoon of turmeric powder and add about one teaspoon of black pepper. Now boil this mixture for two to three minutes, cinnamon sticks can also be added if desired. Add one tablespoon of honey to the solution and stir well. It is advised to drink this twice a day until your condition improves. Take a cup of water and make an herbal tea by adding one teaspoon of turmeric powder and one teaspoon of carom seeds. Boil the mixture until it reduces to half a cup. Add I tablespoon of honey to the mixture. It is advised to consume this herbal tea at least two times a day until the condition improves. Take a cup of boiling milk. Add one tablespoon of turmeric powder and about one tablespoon of honey and mix it thoroughly. This has to be drunk when it is hot. The antibacterial and antiviral properties of it can cure a cough. Take a turmeric root and roast it. Now grind the roasted turmeric root into a fine powder. Add some water and a teaspoon of honey and drink it two times every day until your condition improves. Take some water, add one tablespoon of turmeric to it and boil it. Cool the solution for 10 minutes and strain the solution using a strainer. Now, add some lemon and honey to your solution and your tea is ready. Curry powder must not be used as it contains a little turmeric when compared to turmeric root. Turmeric is also known as the golden spice of life as is an integral part of many fairness a product and cosmetics. It can be applied on your face to give a glowing fair to your skin and also remove small traces of hair.They have several anti-bacterial, anti-microbial, anti-aging properties which make them a good face mask ingredients. They are also very active in fighting against acne and can reduce the visibility of scars. Clean your face properly with a facial cleanser to remove impurities and any makeup from your face. Now gently wash your face with warm water to open up the pores in your face and then gently pat your face dry. It can be applied on your face as well, and it has been used for centuries as an Ayurvedic face mask for brides to increase their glow and brighten their skin. Add 1 teaspoon of milk and mix them thoroughly in a small bowl. Turmeric has antioxidant properties and is an excellent antibacterial, antiseptic and anti-fungal agent.The Milk in the paste also acts as a moisturizer and cleanses your skin and exfoliates it. Together, these ingredients work wonderfully well on your skin. It is recommended to use this repeatedly over a few days to improve your fairness. Along with honey, the properties of turmeric are enhanced and acts as an excellent moisturizer for your skin as well. Apply this paste on your face and let it set for 10 to 15 minutes. Then wash off the dry paste your face with cool water and a mild facial cleanser and wipe your face with a towel or cloth. Add half a teaspoon of lemon juice to it. Clean your face with a cleanser and dry your face. Apply the paste on your face and let it set for 10 to 15 minutes or until it dries completely and washes it off with warm water. Doing this gives your face an instant glow.Lemon also acts as a moisturizer and cleanses your skin and gives it an instant glow. Together, these ingredients work wonderfully well on your skin. It is recommended to use this repeatedly over a few days to improve your fairness. Turmeric is an antioxidant and is a good antibacterial agent with the inclusion of honey, the properties of turmeric are enhanced and acts as a good moisturizer for your skin and face. Mix the ingredients thoroughly to make a fine paste. Care has to be taken while making the paste, it must not become very watery, in case it becomes very watery just add some rice flour to make it thick. Add some honey to the mixing bowl. Clean your face properly using a cleanser or a face wash to remove the impurities from your face, with the help of the cloth, dry your face.This is an excellent face wash that can be applied quickly. It moisturizes your face and gives your face an instant glow. The oatmeal is good exfoliator and exfoliates your skin. On the repeated use of the face mask over a few weeks will give you beautiful and glowing skin. Apply the paste on your face gently and leave it for 20 minutes, then wash your face with some warm water and scrub your face if necessary to remove the oatmeal sticking to your face. Mix the contents of the mixing bowl thoroughly and make a paste. If you are worried about your skin turning yellow, just use a thin layer of a face mask and remove it after five minutes. But since you are using very little amounts of turmeric, your face may not retain the entire yellow color but might retain only a slight tinge. To remove the yellow tinge use a sugar face scrub to remove the color from your face. It is more likely that your fingernails will become yellow rather than your face, to remove the yellow stain from your fingers use a lemon juice and a nail brush and brush your nails with some lemon juice. This removes the yellow stains from your skin. It is advised to use gloves if you do not want your nails from turning yellow. Excess lemon juice irritates skin and reddens pimples on your face, hence very little lemon juice must be used. Always use raw pure honey for best results. It is also very good for the health of the liver and cures a wide range of diseases like cold, cough, fever, sore throat, etc. that are caused due to cold weather conditions. Add 2 to 4 tablespoons of grated ginger to a bowl and mix it thoroughly. 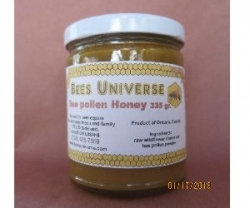 This is excellent for your health; it can be used when you are suffering from a minor fever, cough, cold, etc. and people of all ages can drink this. It is recommended to drink this at least once a day, and it can replace your morning tea. Taste the mixture and if you feel any of the ingredients are less in the mixture, add them until you get an adamant flavor. The mixture can be stored in a glass container. Grind your turmeric into a fine powder in a small bowl (mixing bowl). Add about a quarter cup of raw honey. Add one tablespoon of lemon zest. Add a pinch of crushed peppercorns to the mixture. Once your child shows any of the above symptoms, you can use the below natural home remedies to cure an common cold. Cold can be cured and prevented using many natural and Ayurvedic methods using turmeric and honey. They have antibacterial, anti-inflammatory, anti-viral properties that help cure a cold and many other cold-related problems. Cold is a common condition that occurs in people of all age groups during the winter season or cold weather. It is recommended to consume this drink at least once a day. 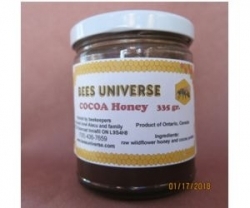 The above mixture can be stored in a jar and can be preserved for many days. To consume, you just have to add a tablespoon of the mixture in some warm water and stir thoroughly, then drink it like any other beverage. Consume it the next morning and chew the pepper. This is known to cure blocked nostrils and other cold-related problems. 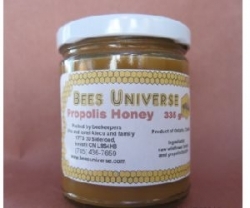 Take a mixing bowl and add half a cup of honey. Take a turmeric root and roast or burn it, then grind it into the fine powder. Add about 3 tablespoons of turmeric to the mixing bowl. Add two tablespoon of ginger powder. Add half a teaspoon of cloves.Turmeric has antibacterial, antiviral properties and can be used to keep away many diseases. Honey and Turmeric together work wonders for your body. Mix the contents thoroughly and store it in a jar. This can be given to kids and adults during the first signs of the cold or a cough. Add some crushed peppercorns and mix it thoroughly.Turmeric And Honey For Sore ThroatIt is better to treat a sore throat early using some simple home remedies rather than using any antibiotics. A sore throat can occur to anyone even if one does not strain his or her throat; it can occur due to various environmental conditions and lifestyles. This has to be drunk when it is hot.It can cure a cough, cold and sore throat. Take a small dish and add some honey, now slowly add turmeric to the dish and constantly keep mixing it together until they form a thick paste. Care has to be taken so that lumps are not formed. Roll the paste into small balls about 1 cm in diameter.This remedy is effective only at the starting stages of the infection, if the infection becomes severe, turmeric may not be that useful. Keep this small ball in your mouth and do not chew or swallow, allow it to melt in your mouth, it will form a protective layer on the infected area in your throat and kill the harmful bacteria and stops it from spreading. Take a glass of hot water, add some turmeric and caraway seeds and some honey after the water is cold. This decoction is very effective in curing sore throat, cough, and cold. The smoke that comes out while burning turmeric when inhaled can give relief from a sore throat. Take a cup of boiling milk, Add I tablespoon of turmeric powder, add one tablespoon of honey, add some crushed peppercorns and mix it thoroughly. This has to be drunk when it is hot. 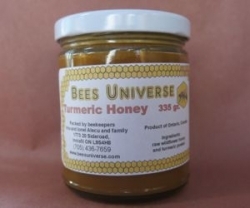 The anti-bacterial and antiviral properties of turmeric and honey can cure a cough. Take some warm water and add some honey, add about one tablespoon of turmeric and some lemon juice to the decoction and boil it for some more time, no strain the decoction and drink it when it is warm to get instant relief from a sore throat. Turmeric mouthwash is very effecting in reducing the bacteria levels in your mouth. But it does not reduce the plaque levels in your mouth. Turmeric increases the production of some vital enzymes in the liver that detoxifies the blood. Turmeric is also known to help improve blood circulation and also keeps the liver healthy. Turmeric is known to slow down the progression of Alzheimers’s disease in the brain. It also improves the overall brain health by aiding in the removal of plaque building up in the brain and improves oxygen flow to the brain. It is recommended to consume a teaspoon full of turmeric every day to keep your weight in check. Turmeric is also known to prevent prostate cancer; it can stunt the growth of existing cancer and even destroys its ability to multiply. Although it does not entirely cure cancer, a significant component can help control by preventing it. Turmeric can be used to regulate the insulin levels in the body. It improves glucose controls and increases the efficiency of the medicines used to treat diabetes. Antioxidants protect our body from free radicals, which are known to cause aging and arthritis. It is believed that people were suffering from arthritis who consume turmeric regularly experience relief from joints pain and joint inflammation. Turmeric is added to many foods to improve digestion and reduce gas and bloating. Turmeric stimulates the production of bile in the liver; this improves the fat-digesting ability of the body. It is known to cleanse the entire body from the inside and keeps the digestive tract and the liver healthy. Turmeric is the bright yellow spice found in many Indian dishes. It has a wide range of medicinal values that can treat a variety of diseases these include a toothache, diarrhea, hemorrhage, bruises, etc. 5. Take some turmeric, some powdered sandalwood, add some honey or water and mix them thoroughly to make a paste. Clean your face properly and apply the paste as a face pack and let it set for 10 minutes. Then, remove the paste and clean your face with some warm water and dry your face. 4. Take some turmeric powder in small bowl, add about one teaspoon of honey.Add half a teaspoon of lemon juice to it. Mix the ingredients thoroughly to make a fine paste. Care has to be taken while making the paste, you must not get a very watery consistency, just add some rice flour to make it thicker if the paste becomes very watery. Leave the paste on your face overnight, the paste forms a mask on your face and becomes hard. Wash your face with warm water and remove the dry paste. The turmeric effectively reduces the size of the pimples and gradually reduces it. 3.Take about 8 tablespoons of turmeric, add about 5 tablespoons of olive oil in a bowl. Mix the contents of the bowl thoroughly to make a paste. Clean your face with cleanser and dry your face with a towel. Take some of the cold paste and apply it on your face and gently massage your face for about 10 minutes. 1.Turmeric can be made into a paste with the help of some water; this paste can be applied on the pimple directly or applied to the acne prone areas to stop the growth of bacteria. Turmeric also removes excess oil from the skin. The anti-oxidant property of turmeric and a moisturizing ability of honey can cure acne and at the same time erase any visible scar marks on the face. People spend loads of money on cosmetics and beauty products to cure acne, but there are many natural and Ayurvedic remedies that are cheaper and more effective than the costly beauty products. Turmeric along with olive oil can reduce dandruff and improve the condition of your scalp. It can be used with any other oil like coconut or jojoba oil as well.